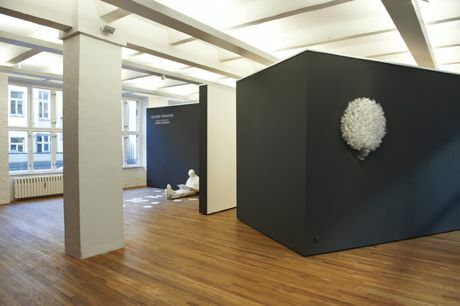 Gestalten is proud to present the first solo show in Germany by the renowned American artist Mark Jenkins, who uses ordinary packing tape to create life-size human or animal forms. 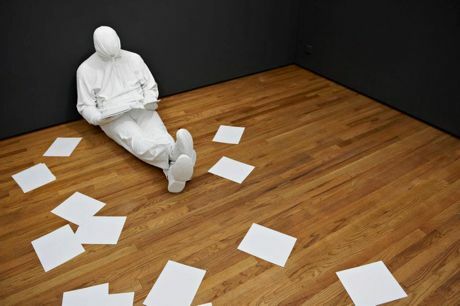 Jenkins is best known for his clever installations of these startlingly lifelike tape sculptures in urban and natural spaces as well as indoor environments such as cafeterias, toilets, and art galleries. 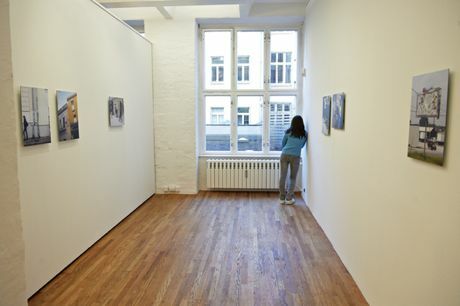 This expert staging of his work, especially his clothed human figures, provokes various—often strong—reactions from passersby and expands his interventions into powerful performances. “Glazed Paradise” will feature new sculptures specifically conceived for this show and made by the artist in Berlin, which will be unveiled at the January 19th opening. These will be complemented by a limited edition of smaller tape sculptures. 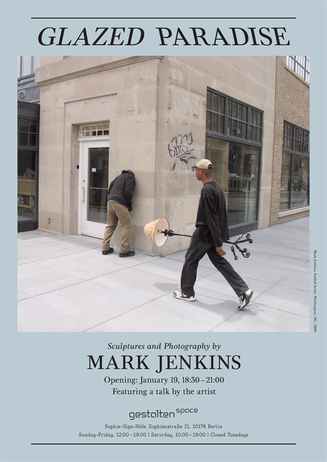 In addition to Mark Jenkins’s sculptural work, “Glazed Paradise” will include photographs of select installations that reveal how compelling the interaction between his artwork and its environment can be. Gestalten hat Mark Jenkins zudem im Rahmen der Potcastreihe "Gestalten TV" portraitiert. Das Video ist online abrufbar. Jenkins' Publikation The Urban Theater erscheint in Kürze.